In today’s world, crypto assets are changing the way businesses need to be built. Instead of getting the equity financing from founders and accredited investors, entrepreneurs are using ICO (Initial Coin Offering) financing route. In the crypto token version of business, marketplace value is captured by all those who create value for the marketplace, including marketplace “users”, and that value is captured without any transaction fees. This model eliminates the middleman. The oligopoly of platforms like Uber, Airbnb, Amazon, etc. will face a challenging time in coming days. Crypto assets are digital assets which utilize cryptography, peer to peer (P2P) networking and a public ledger to regulate the generation of new units, verify the transactions and secure the transactions without the intervention of any middleman. Crypto assets work exclusively on the internet by using a network of computers that lend their processing power to verify and register all the transactions made. In return for their work, computers are rewarded with a payment in the form of tokens. The system that allows for this to happen is known as the blockchain, and it is the fundamental force behind any crypto asset. The blockchain is formed by blocks and each block is a segment of the chain that holds the Ledger of transactions made with crypto assets. The decentralization of economy along with avoidance of taxes, inflation, and local incertitude, implies that anyone can save their money in tokens and withdraw it on a need basis. This is the reason why crypto assets are getting popular. Circulating Supply: It’s the amount of coin available at present time and circulating in the market. Maximum Supply: It is the maximum amount of coin that will ever exist for a particular cryptoasset. Cryptocurrencies: Well-known native blockchain assets with only the basic characteristics as those of a fiat currency but are decentralized. The only purpose of these crypto assets is to act as money or digital currency which offer a more secure and decentralized experience to the users. Popular cryptocurrencies are Bitcoin, Monero, Litecoin, etc. Platform Tokens: Platform tokens are designed to act as a platform for other decentralized projects. Popular platform tokens are Ethereum, EOS, NEO, etc. Utility Tokens: Utility tokens (also called protocol tokens) denotes decentralized services or units of decentralized services that can be bought, sold, and earned. Just like any real-life service token, these tokens can be exchanged for specific services like distributed storage, video game currency, etc. These tokens are developed with a specific use case in mind and acts as an API key which is used to access a specific service. Some of the popular utility tokens are Golem, Augur, Gnosis, DigixDAO, etc. Financial institutions and banks are still very slow when it comes to cross-border payments. They depend on year’s old technology facilitated by SWIFT which involves multiple parties and KYC and AML requirements. Transactional tokens are crypto assets launched to solve this inter-border transactional problem. One of the great examples of transactional crypto assets is Ripple. Ripple is a global real time settlement network which connects different banks and financial institutions around the world without requiring beneficiaries or other intermediaries. It enables cross border payments within banks within seconds while providing them an end to end visibility throughout the whole process. Do you know crypto assets are already disrupting traditional business models? Major ad serving networks and exchanges operate with huge amounts of centralized data that can easily be traced back to the consumers’ identities. With the help of blockchain, advertisers still get to receive and process data about their target audiences and consumers in the form of statistics only – without compromising the privacy of these consumers. SingularDT is a decentralized system in which artists and digital content creators can build, monetize, protect and manage their creations using the blockchain technology. Musicoin is designed to support the creation, distribution and consumption of music in a cycle. It enable musicians and consumers to exchange value in a frictionless environment. With a unique currency and a solid peer-2-peer (P2P) contract system. Golem connects computers in a peer-to-peer network, enabling both application owners and individual users (“requestors”) to rent resources of other users’ (“providers”) machines. Today, such resources are supplied by centralized cloud providers which, are constrained by closed networks, proprietary payment systems, and hard-coded provisioning operations. Also core to Golem’s built-in feature set is a dedicated Ethereum-based transaction system, which enables direct payments between requestors, providers, and software developers. Also Read Has RBI’s Ban On Bitcoin Killed The Future of Cryptocurrency In India? iExec aims at providing decentralized applications running on the blockchain a scalable, secure and easy access to the services, data-sets and computing resources they need. 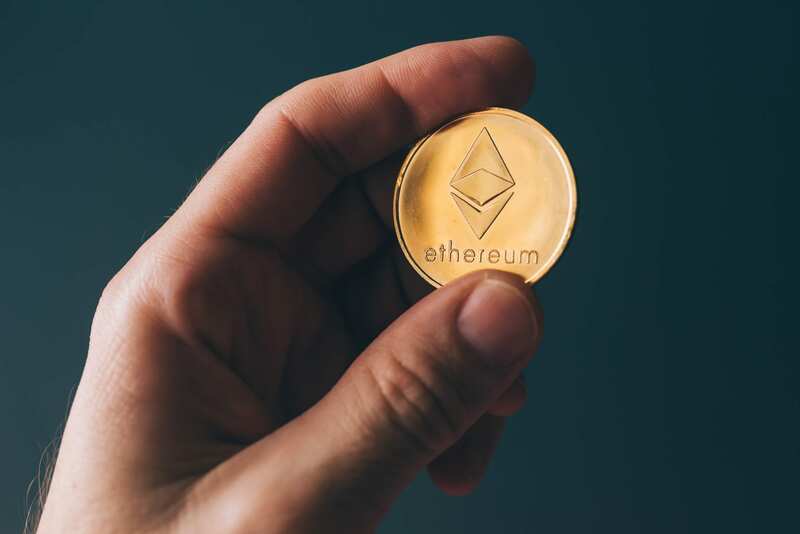 This technology relies on Ethereum smart contracts and allows the building of a virtual cloud infrastructure that provides high-performance computing services on demand. With A2B they want to make a decentralized taxi service and distribute wealth to community members. They are building trust-based social platform, which connects licensed taxi service providers and taxi service users into one community platform. WeTrust is a collaborative savings, lending and insurance platform that is autonomous, agnostic, frictionless, and decentralized. WeTrust creates a full-stack alternative financial system that leverages existing social capital and trust networks, eliminating the need for a “trusted third party”, allowing for lower fees, improved incentive structures, decentralized risks, allowing a greater amount of capital to reside among the participants, and ultimately improving financial inclusion on a global scale. To conclude transaction in its earliest form began with the barter system and now with crypto assets, we are going back to the same structure. Crypto assets are treated as a commodity today, just like gold. We have to wait and watch to see how it will develop. The pace of change is accelerated now more than ever. As an investor, you can only ensure you remain updated and part of the whole industry so that you are present when the next big evolution happens. Nitin (https://www.linkedin.com/in/nitinsrivastava/ ) is an experienced Data and Analytics consultant. For last two decades, he has been extensively working with large organizations in implementing and managing data warehouses and creating analytic solutions for various domains, predominantly in BFSI sector. At present Nitin is designated as Vice President with an MNC and leads the Data Technology teams in India. General Data Protection Regulation: What will happen to all the micro level analytics?